You may have spent hours playing The Sims 3 since its release in June 2009. I know I have. As an avid Sims fan, one thing I've often paid attention to throughout the game's history is the soundtrack. From customized tracks in Create a Sim (in The Sims 3 known as Create a Household) to the tracks in the Build & Buy modes, there's often some catchy tunes. This track stands out from many of the other CAS theme tracks because it offers some rock inspired sounds along with an electric synthesis. The build-ups in the track are also cool because they go back to that rocky sound unlike most of the other tracks in The Sims 3. This is why this ends up on the #5 spot. The slowness of this track along with the choral voices make this track one which could seem like it could go on forever in a good way. The tune somehow makes you feel like you're making progress when you're making your sim--like it is somehow a service to Simkind. This loopy and soft map tag theme from The Sims 3 Supernatural brings a sense of calm and okay to the game. It offers subtle choral voices which have beautiful harmonies, and it offers an orchestral sound which is reminiscent of a movie soundtrack. It really is a beautiful track, but too bad it is only available when in map view. This multi-purpose Sims 3 Late Night start-up theme and Sims 3 console start-up theme offers a change from the typical odd percussion most of the game's themes have to offer. This offers a mood change mixed with the classic Sims 3 vibe. 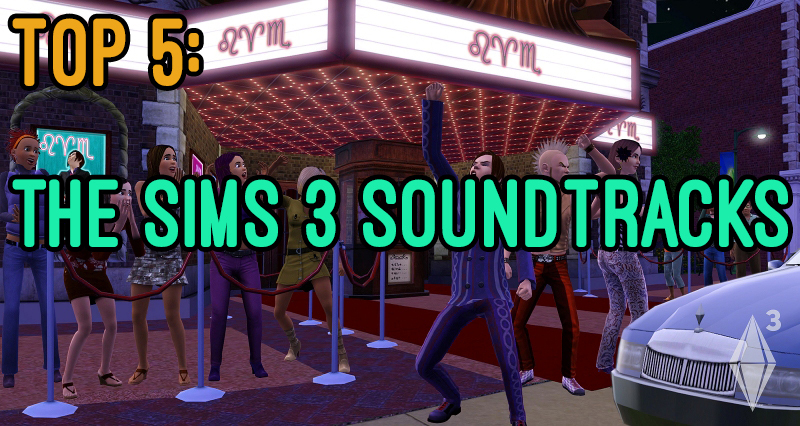 While the first few seconds may be annoying for some, the rest of the original main Sims 3 theme offers a good feeling with a ton of different instruments and voices. It makes you feel good to play the game somehow like it was a spiritual adventure. Do you agree with the list? Do you think a soundtrack was missed? Let me know in the comments!